The concept of time may be one of the most difficult concepts to explain and understand. It is obvious to all of us that time passes and that we are getting older, although we may want to deny this fact or forget about it. What makes us even more aware of the passage of time is seeing the whole life cycle of a living thing, such as seeing a beautiful flower grow from a tiny seed and completely wither and die in just a few seconds, which has been made easier thanks to time-lapse videos. There are two main methods for making time-lapse videos. One is done by filming and the other by taking photos. The first method of making time-lapse videos by filming is quite self-explanatory. 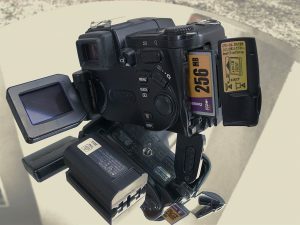 What you need for this method is a good camera with a high capacity memory card and a lot of batteries because you will be using the camera to record something for a long period of time. Furthermore, if you want to make a good time-lapsing video, you will have to make your camera stationary. The most common way to do this is to use a tripod, and if you are worried whether the tripod will stay firm and steady, you can add some extra weights. 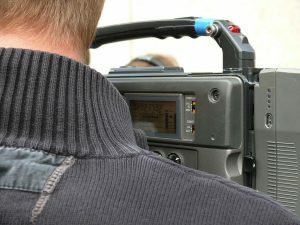 After preparing and setting up your equipment, you should focus on finding a suitable location for your video. Since time-lapse videos represent the passage of time, you should pick some locations to which you can relate emotionally because this will add to the appeal of your video. When the recording is done, what you need to do is speed up the recording and you get your own time-lapse video. This method is quite simple, but there are some downsides that we want to highlight. These videos use up a lot of memory, so uploading them to the internet or just editing them may take a lot of time if you don’t have more sophisticated equipment. 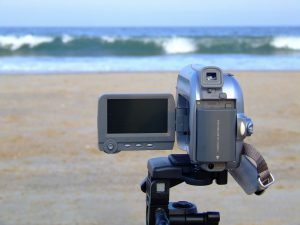 In addition, such videos may lack the charm that videos made up from time-lapse photos have, but if you want to make a nature documentary, this is the best way to do it. Another way to make a time-lapse video is to record certain moments instead of recording everything for a long time. This is done by taking photos in a specific, well-timed order which depends on you and the expected length of the video. When it comes to the necessary equipment, you will need a camera, a tripod and an intervalometer. The intervalometer will help you take photos in a predetermined interval sequence. After taking the photos, you need to link them into a single video and you get a time-lapse video. This kind of time-lapse videos use up less memory, which makes it easier to upload and edit them. Also, these videos have special appeal, but to achieve it, you will need some practice depending on your skills and talent.